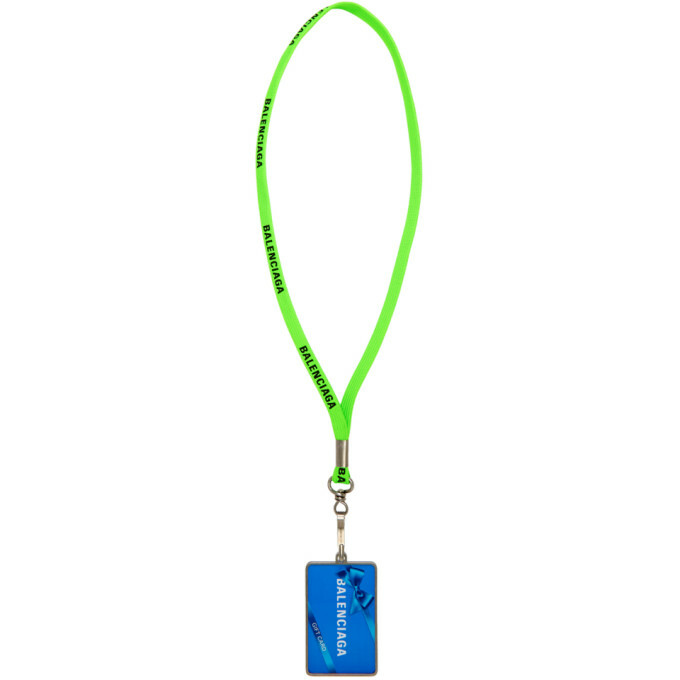 Balenciaga Green Gift Card Badge Necklace $226.00 Grosgrain lanyard style necklace in green. Logo pattern printed in black throughout. Detachable hardware featuring graphic enamel inlay in blue and white and lanyard clasp fastening at drop. Antiqued silver tone hardware. Tonal stitching. Approx. 22 drop.